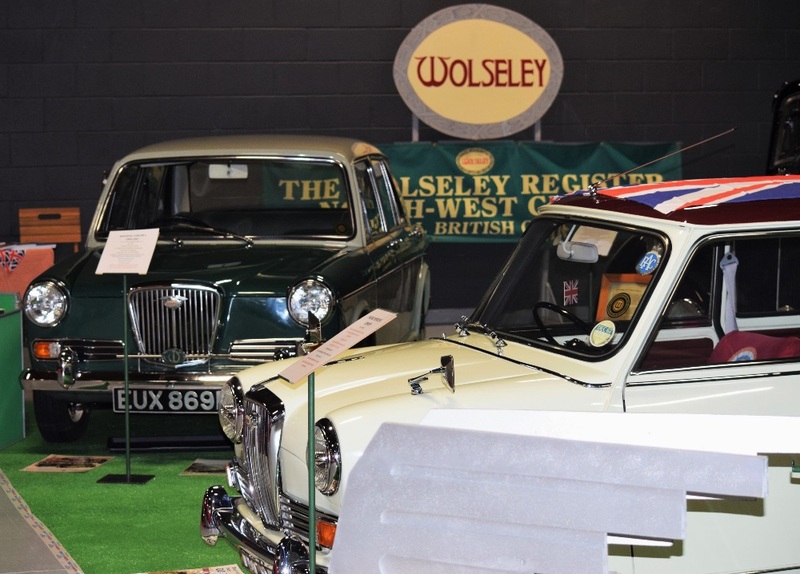 The Register NW Region had a stand in prime position at the Footman James Classic Car Show at Event City Trafford Park Manchester on the 15th & 16th September. 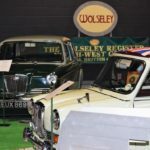 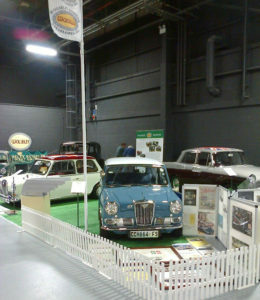 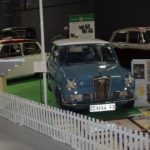 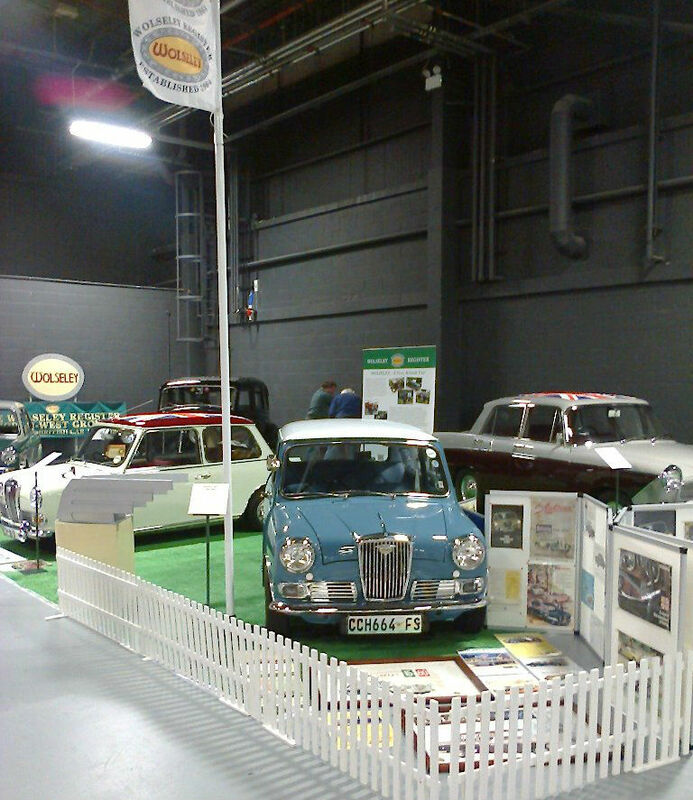 5 cars were displayed – from 1966 a 16/60 and an 1100 Mk1, from 1936 one of only 3 roadworthy Series II Super Six 16Hps and from 1968, a Downton-tuned Mini Hornet. 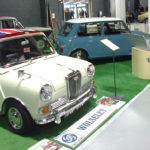 This last one made a good contrast to the ultra-rare South African built 1000, a ‘guest exhibit’ from the British Mini Club. 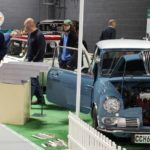 This was by far the busiest show we’ve been to at this venue, a ‘mini NEC’, with many stands full of interesting and varied vehicles and it was encouraging to see so many younger people coming to look at the cars. 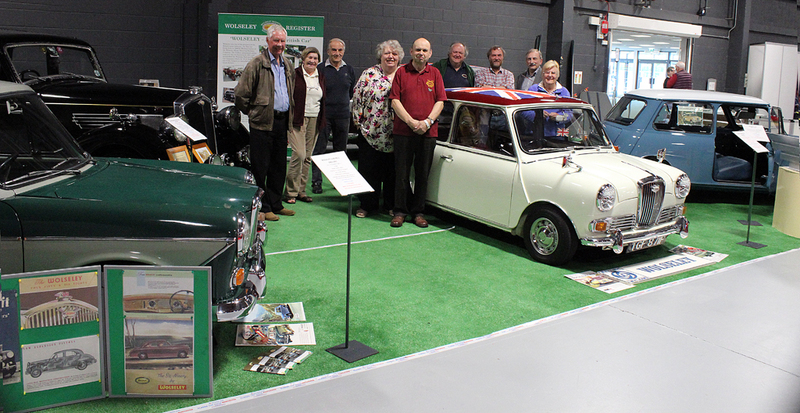 We were kept busy all through both days of the show with all 5 exhibits creating much interest in all aspects of the cars and club, from technical questions to just inhaling the smell of leather! Thanks must go to Vic and Thelma, Ian and Millie, Bob and Pattie, and Colin for bringing their cars in the torrential rain on the Friday and then cleaning them ready for showing, and special thanks to both Peter Cope for organising and ‘building’ our stand and to Trevor for providing us with a unique attraction in the 1000. 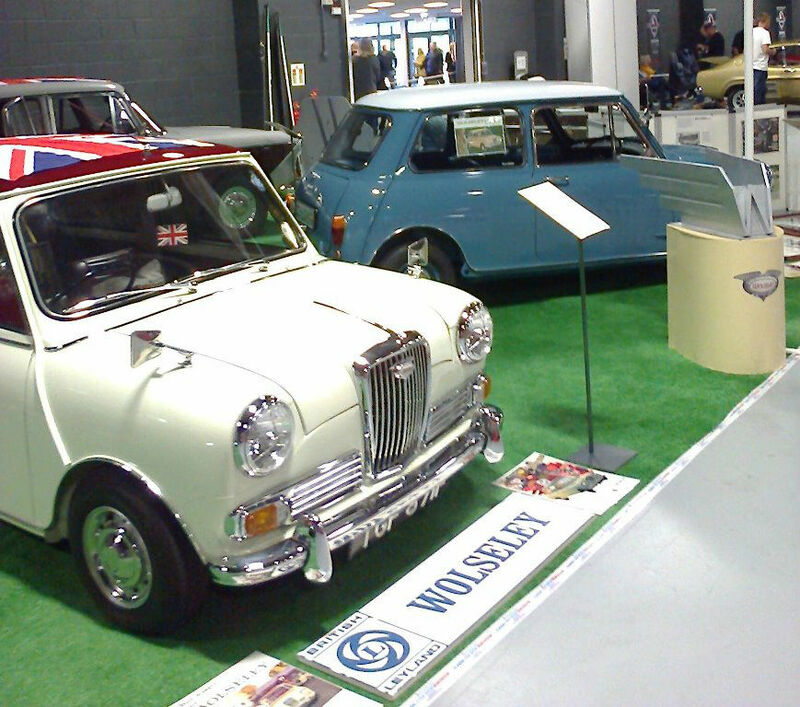 If you haven’t visited this show before , be sure to put it in your diary for next year as it is well worth a day out.